The eyes are the windows to your soul and one of the main ways that you can communicate with others. Due to how important the eyes are for both aesthetics and nonverbal communication, eyelid surgery is becoming increasingly more popular. Eyelid surgery, also known as a blepharoplasty, is an eyelid lifting procedure that can take years off of your appearance. There are several reasons why eyelid surgery could be a good choice. The top three reasons include looking younger, looking more energetic, and regaining a full field of vision. The eyes are one of the areas of the body where aging is most easily noticed. The weather, wrinkles, gravity, and time all contribute to older looking eyes. 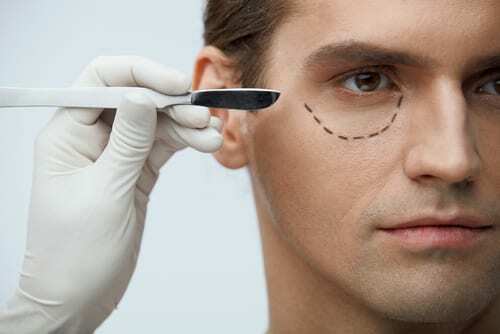 Eyelid surgery can remove or smooth fine lines and wrinkles around the eyes. Sometimes the eyes can become puffy as we age, and this too can be remedied by removing excess fat deposits during the rejuvenation procedure. The appearance of tired eyes is not always due to a lack of sleep. Aging, genetics, work, and lifestyle are all factors that can cause eyes to look permanently tired. Blepharoplasty corrects the tired look of drooping eyes by removing excess skin from the upper and lower eyelids. Eyelid surgery can give you a renewed and energetic appearance with a straightforward procedure. Looking more energetic often causes people to feel better about themselves and is a significant confidence booster. Some people have severely drooping eyes that limit their field of view. The top reason for getting eyelid surgery is to regain your full field of vision. Eyelid surgery can reduce sagging in the upper eyelids, which can allow you to see better. Generally, anyone in good health can get eyelid surgery. You should have realistic expectations for the outcome of the operation and discuss your goals with an experienced surgeon like. The recovery time differs for everyone, but on average it takes about one year until all incisions are fully healed. The results often last many years and can provide you with the youthful and energetic eyes that you desire. If you are interested in eyelid surgery, then contact us at (305) 931-3338 to schedule your consultation appointment. Dr. Hochstein is a skilled cosmetic surgeon who can deliver excellent results. Call today for more information.